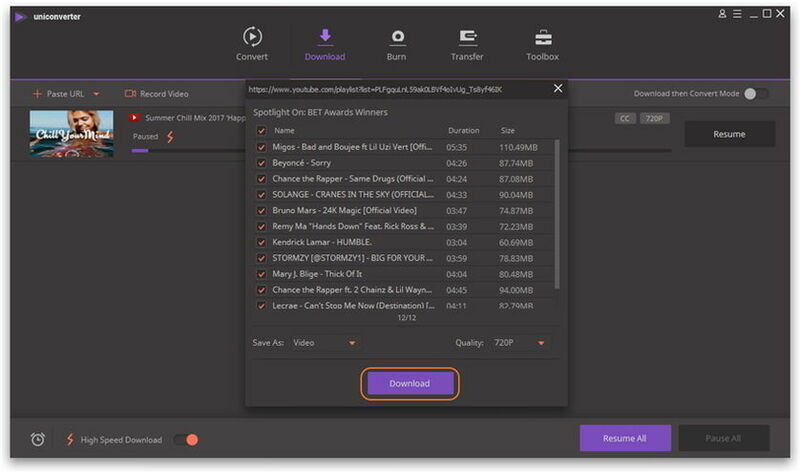 If you want to download YouTube/Lynda playlist effortlessly, Wondershare UniConverter (originally Wondershare Video Converter Ultimate) just frees you from downloading the videos one by one. Go to YouTube or Lynda website to search for your favorite playlist, here takes Taylor Swift Playlist for example, copy its URL. 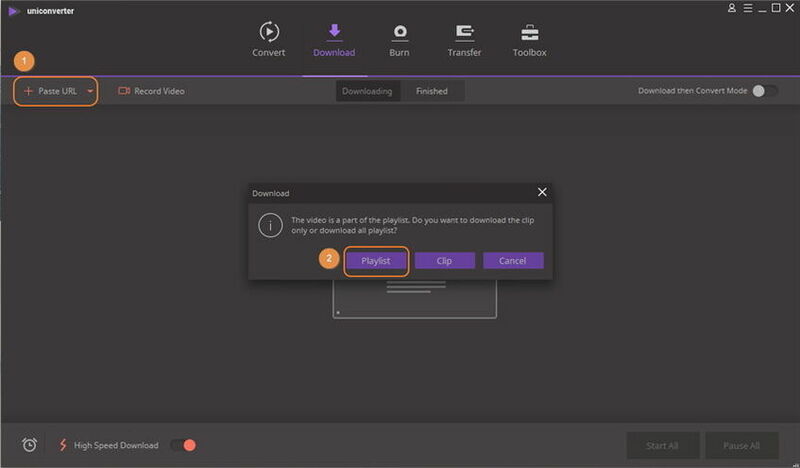 Go back to Wondershare UniConverter, click + Paste URL button and click Playlist in the pop-up window to confirm downloading the YouTube playlist. Then you’ll get an interface displaying the specific video clips of the playlist, where you can deselect those you don’t want to download. After that, click Download button to proceed. 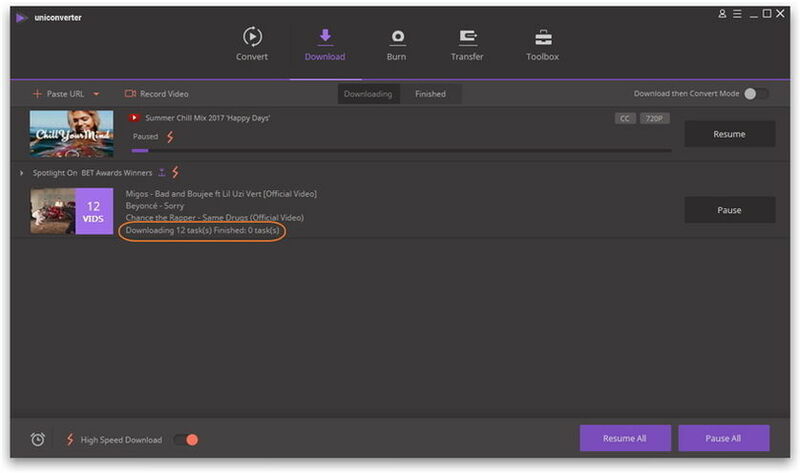 Note: Here you can set the video quality to convert YouTube to MP4 1080P with Wondershare UniConverter. 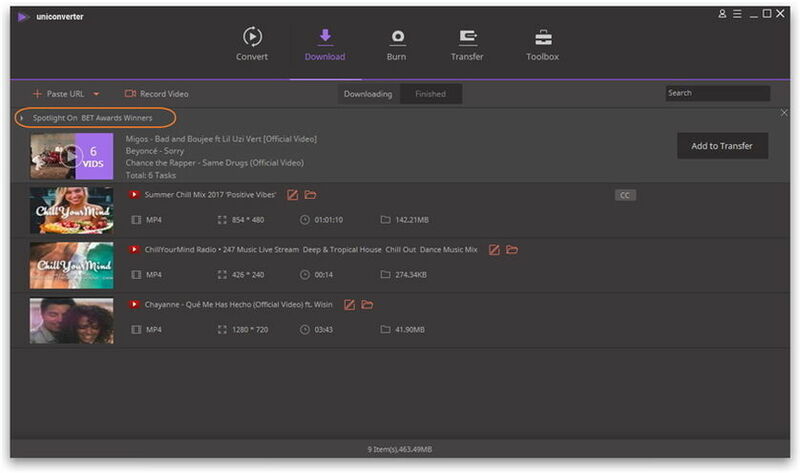 Now the program is downloading the playlist, and it shows the real-time changes in downloading and finished tasks. Note: Turn the console High Speed Download on would accelerate three times download speed. Once complete, you’ll see all downloaded video in one playlist under Finished tab. 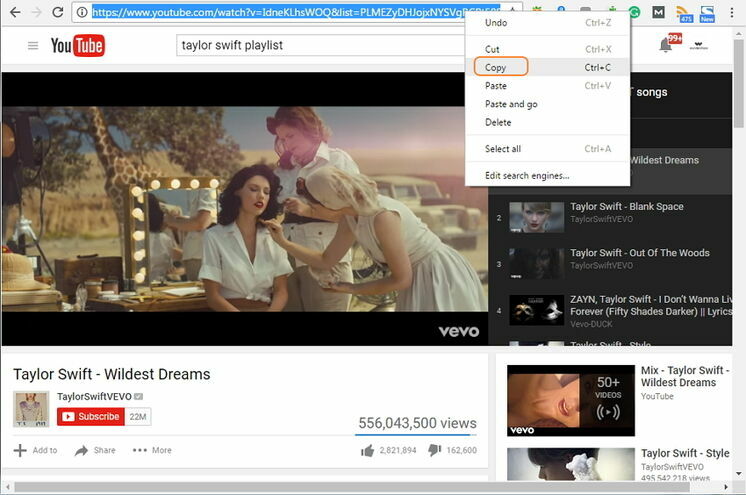 Double click the playlist bar or the drop-down icon in the left will expand all video clips in it.